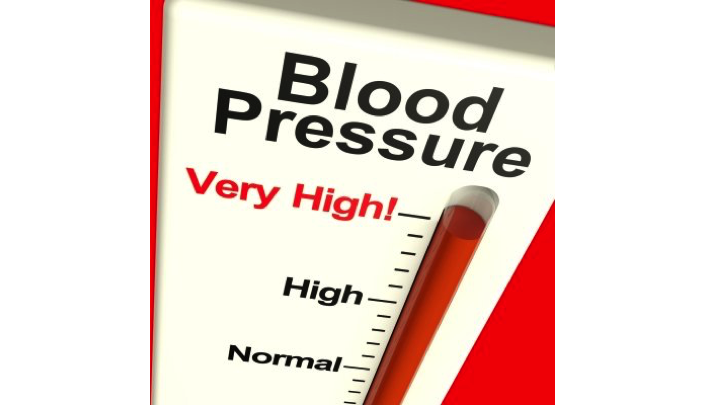 The normal blood pressure exerted by an average healthy individual’s blood on the arterial walls lies between the numerical ranges of 120/80 to 140/90 (taken in mmHg pressure). The normal blood pressure exerted by an average healthy individual’s blood on the arterial walls lies between the numerical ranges of 120/80 to 140/90 (taken in mmHg pressure). Any value over 140/90 is termed high blood pressure, which is also known as hypertension. During hypertension, blood pushes against the blood vessel walls with high pressures, causing damage. Any injury to the arterial walls can render them open to plaque formation or stiffening, leading to a condition called atherosclerosis. Plaque formed on the blood vessel walls can obstruct the free flow of blood or even cause a complete blockage. This may cause serious and irreversible damage to some of the vital organs such as the heart, brain, and kidneys. There are certain risk factors, such as lifestyle choices (including food habits, smoking and drinking), obesity, and work stress, that may be managed. However, some elevated blood pressure influencing factors, like advancing age, genetics, and racial or ethnic predisposition, may not be controllable. Controlling the risk factors is the best possible method to prevent or avoid hypertension. A direct relationship exists between high blood pressure and obesity; increased weight indicates an increased risk for hypertension and heart conditions. The American Heart Association mentions that in overweight individuals, reducing the weight by as little as 5-10 pounds will bring down blood pressure levels. Tobacco smoke is known to cause many diseases and disorders including increase blood pressure levels. Chronic and regular (daily) smokers are observed to have higher blood pressures throughout the day. Alcohol, in small measures and when taken moderately, can decrease BP levels in those who are regular drinkers. However, regularly drinking in excess can cause the levels to spike. Mayo Clinic informs that undertaking regular physical activities or exercise for about 30-60 minutes daily can lower the blood pressure by as much as 4-9 points (mmHg). For those who have prehypertension (blood pressure range between 120/80 and 139/89), regular exercise can prevent the condition from deteriorating. A healthy and well-balanced diet to control blood pressure from rising includes fruits and vegetables, whole-grains, and low-fat and low-cholesterol foods. Individuals may also follow the DASH diet, also know as the “Dietary Approaches to Stop Hypertension” diet. Fast foods, processed foods, and restaurant foods generally contain high levels of salt in them, which is detrimental to one’s health and can cause blood pressure levels to increase. In some individuals, drinking coffee may temporarily cause a spike in blood pressure levels, and this may have to be self-regulated. Whether at work or at home, stress is invariably a constant companion. However, increased stress is known to elevate blood pressure levels, resulting in increased susceptibility to heart attacks and brain strokes. Practicing simple and proven techniques, such as mediation, yoga, or even deep breathing, can help reduce and control the daily stressors one faces. Individuals who suffer from chronically high blood pressure levels or those at risk for hypertension should visit their family physicians regularly and periodically. It is also beneficial to train oneself to self-monitor blood pressure levels at home by using a blood pressure checker device. Lawes, C. M., Vander Hoorn, S., Law, M. R., Elliott, P. A. U. L., MacMahon, S., & Rodgers, A. (2004). High blood pressure. Comparative quantification of health risks: global and regional burden of disease attributable to selected major risk factors. Geneva: World Health Organization, 281-390. Chobanian, A. V., Bakris, G. L., Black, H. R., Cushman, W. C., Green, L. A., Izzo Jr, J. L., ... & Roccella, E. J. (2003). The seventh report of the joint national committee on prevention, detection, evaluation, and treatment of high blood pressure: the JNC 7 report. Jama, 289(19), 2560-2571. Chobanian, A. V., Bakris, G. L., Black, H. R., Cushman, W. C., Green, L. A., Izzo, J. L., ... & Roccella, E. J. (2003). Seventh report of the joint national committee on prevention, detection, evaluation, and treatment of high blood pressure. Hypertension, 42(6), 1206-1252. National High Blood Pressure Education Program. (2004). The seventh report of the Joint National Committee on prevention, detection, evaluation, and treatment of high blood pressure. Sarnak, M. J., Levey, A. S., Schoolwerth, A. C., Coresh, J., Culleton, B., Hamm, L. L., ... & Parfrey, P. (2003). Kidney disease as a risk factor for development of cardiovascular disease a statement from the American Heart Association Councils on kidney in cardiovascular disease, high blood pressure research, clinical cardiology, and epidemiology and prevention.Circulation, 108(17), 2154-2169.